As outsourcing increases, manufacturers are ever more dependent on their suppliers to ensure customer success. Yet, the component qualification process (Production Part Approval Process – PPAP) is frequently handled through e-mails, paper, spreadsheets, word and pdf documents. 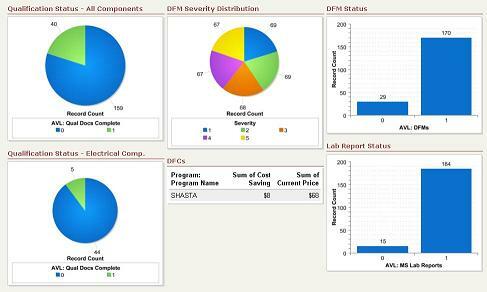 Inefficient supplier collaboration with no central visibility: E-mail based collaboration, where spreadsheets, word and pdf documents are exchanged creates inefficiencies and make it difficult to track whether all the requirements for qualifying a component have been met and which components have been qualified. Emerging environmental compliance challenges: With new regulations such as REACH potentially regulating hundreds of substances, the amount of data that needs to be collected for each component has dramatically increased. Tracking New Product Introduction (NPI): As the product/program Bill of Material (BOM) evolves, it is difficult to track which program components have been qualified or need additional qualification, and which need components need to be re-qualified. Lack of integrated quality management: As component quality issues immerge, lack of integrated corrective action management and audit management tools leave quality loopholes or lengthen the time it takes to resolve the quality issues. Managing component changes: When inevitable design and process changes occur on an on-going basis, it is difficult to track the changes. Leveraging components: Without a central repository of qualified components, it is difficult to leverage components that have already been qualified. As a result, companies face higher component qualification/PPAP costs, longer component qualification cycle times, increased risk of time-to-market delays, higher quality risk, and an increased risk of a non-compliant component leading to recalls and field repair.